Delaware Attorney: John A. Elzufon | Elzufon Austin & Mondell, P.A. 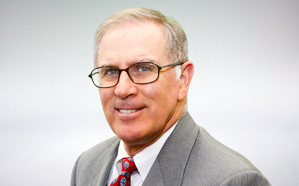 John A. Elzufon is the Senior Litigator and Managing Director of Elzufon Austin & Mondell, P.A. His area of practice is complex litigation including Bad Faith Defense, Corporate/Commercial, Professional Liability Defense and Products Liability Defense. Mr. Elzufon has been chosen six times as one of Delaware’s top attorneys and has been elected to the American Board of Trial Advocates. Mr. Elzufon has handled over 500 complex cases in his career and has litigated nearly 100 of these to jury verdict or bench decision. He was born in Newark, New York on November 1, 1946. Mr. Elzufon graduated from the Rose-Hulman Institute of Technology with his B.S.Ch.E. in 1968 and from the Georgetown University Law Center with his J. D. in 1974. While at Georgetown, he was the author of the “New Members Manual to the U.S. House of Representatives” which was published in 1974, 1976 and 1978. Mr. Elzufon served as a Lieutenant in the U.S. Army Corps of Engineers in 1969 and 1970. That service included a year in the Republic of Vietnam where he was awarded an achievement Bronze Star. Mr. Elzufon worked as an Engineer for both the DuPont company and the US Army Corps of Engineers from 1968 to 1970. Mr. Elzufon handles complex litigation and professional liability defense in both Delaware and Pennsylvania. American Board of Trial Advocates, Delaware Trial Lawyers Association, American Association of Justice, Superior Court Advisory Committee on Medical Malpractice, 1980. Counsel to Delaware Claims Association (1983); Insurance Commissioner’s Task Force on Medical Malpractice, 1989-1991. Delaware State Bar Medical/Legal Committee; Delaware, Pennsylvania and American Bar Associations. Chair Jewish Community Relations Committee for State of Delaware (1994-1998; 2008 to present), President Jewish Federation of Delaware (2000-2002), President Adas Kodesch Shel Emeth Synagogue (1985-1988), Israel Bonds Unity Award (2000), Various other community Boards and Committees. Delaware Today 175 “Top Lawyers” in Delaware (2001); Delaware Today 75 “Power Attorneys” in Delaware (2004); Delaware Today “Top Lawyer” in Delaware (2001, 2004, 2015, 2016, 2017 and 2018). Author: “New Members Manual to the U.S. House of Representatives,” Georgetown University Law Center, 1974, 1976, 1978.